Personal loans are in demand due to the need for instant cash among the millennials. 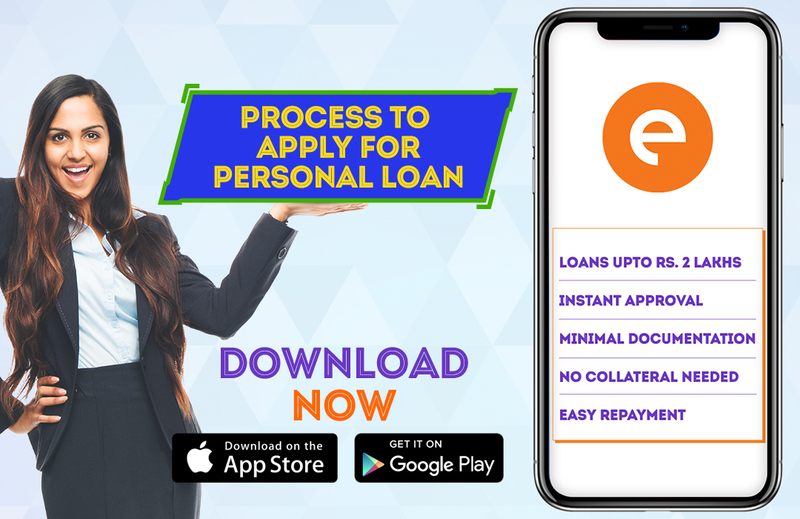 Individuals apply for personal loan for medical emergencies, wedding expenses, traveling expenses, EMIs, pending dues or for buying any goods. The application process of personal loan is quite simple and short compared to the old-fashioned bank loans. There is less paperwork involved as you don’t have to verify any asset for these unsecured loans. There are online apps which provide a smooth and safe transaction for the same. Below is the step by step process to apply for personal loan online. These steps will guide you throughout the application. Almost everyone can apply for a personal loan online. You have to be a salaried employee of a registered company to be eligible. Your age should be between 23 years to 58 years old. Self-employed individuals can apply if their business is in existence for the period of 3 years and they should be between 28 years to 68 years old. Download the cash loan app like CASHe on your smartphone from Google Play Store or Apple App Store and register yourself with your social media account. This will take hardly 2-3 minutes of yours. Enter the loan amount as per your cash requirement. You can take a loan of ₹ 10,000 up to ₹ 1-2 lakhs, this depends on your monthly income. You can then select the loan duration. It can be 15, 30, 60, 90, 180 or 360 days. When you apply for personal loan, you need to submit a few documents for the process. You can upload the documents from your smartphone itself. Documents include your identity proof, address proof, and income proof. The documents which are valid for the process includes Pan Card, Aadhar card, Passport, Driver’s license, Utility bills, Bank statement, and Salary slips. Self-employed individuals have to submit their business registration documents, Profit/Loss statement and the utility bills of the office space. The documents may slightly vary from lender to lender. A photographic proof is required too. Submit your request on the app and complete the process. The app normally takes some time to review the loan request. You can check your loan status on the app. If your documents are in line with the requirement, your loan request will be approved quickly. The app will notify you. The money is then instantly transferred to your bank account.